Hi everyone! It's July already everyone! Time flies fast right? Feel like yesterday was new year, and now it's mid year, and i haven't done much this year. -__- well, i don't have a lot of resolution this year, so i've been lazy. This giveaway will have 2 winners (yeayy~) and it open internationally. ♡ Follow my blog via Google Friend Connect (you can follow my blog via Yahoo! account and Twitter). ♡ Follow my instagram (@anasgch027). and don't forget to link back to my blog or my instagram account. For further info, check my instagram. 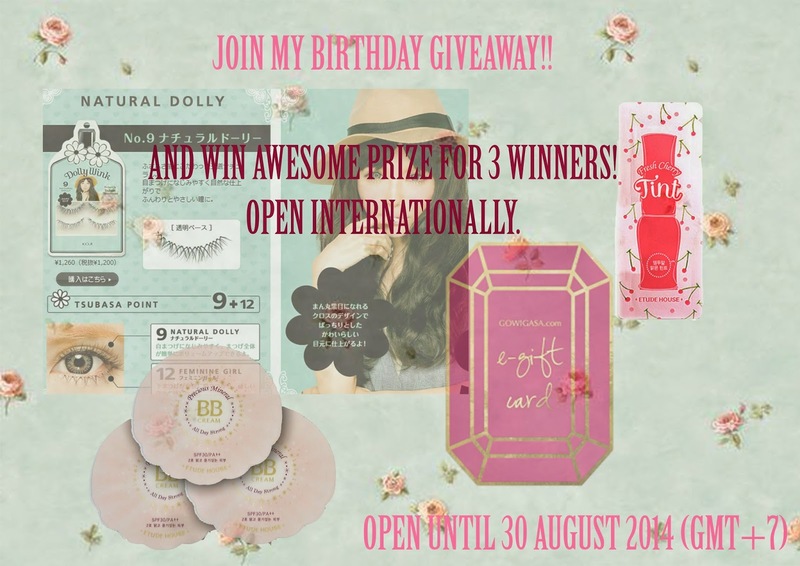 ♡ Post about my giveaway in your social media, Facebook and twitter. You can do this step frequently.